is a doctor with more than 20-years experience of clinical practise. After graduation higher medical education at the I.M. Sechenov First Moscow State Medical University she worked as an obstetrician-gynecologist. Then from 2008 to the present time she is working as a reflexologist and acupuncturist. Dr. Belyaeva has four medical specialties: "Obstetrics and gynecology", "Neurology", "Reflexology", "The organization of public health services and public health ". She also studied "Fitotherapy" program in the North-Western State Medical University named after I.I. Mechnikov. 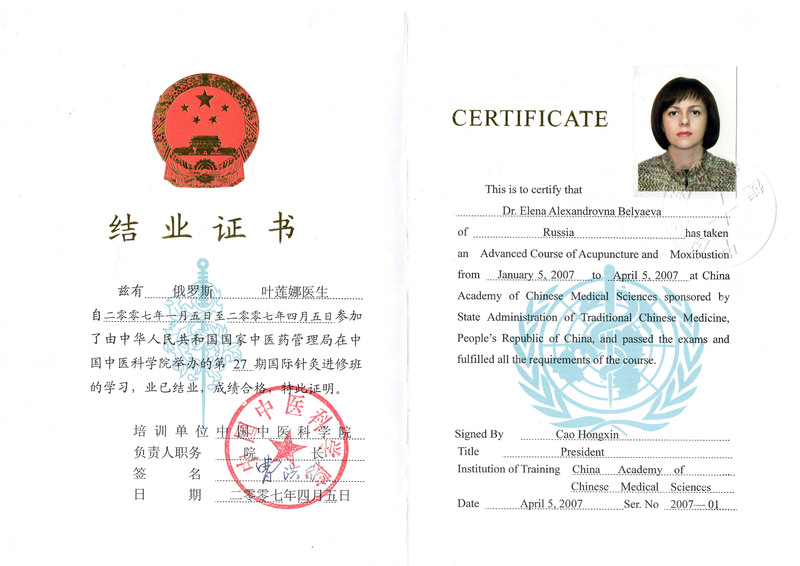 She has taken an advanced course of “Acupuncture and Moxibustion”, including studying of applying herbal products of Traditional Chinese Medicine, at China Beijing International Acupuncture Training Center of China Academy of Chinese Medical Sciences (China, Beijing, 2007), she has Certificate of China Academy of Chinese Medical Sciences on “Acupuncture and moxibustion” (see below). 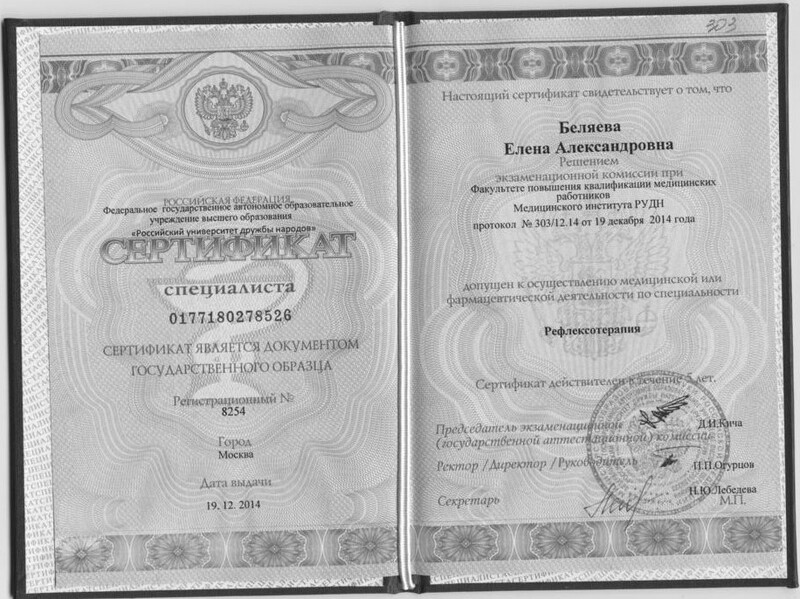 You can get Dr. Belyaeva`s recommendations (write us on info@medvz.ru or through the form for details). Address: Moscow, Prospect Vernadskogo, 11/19 (metro station "Universitet").